DISCLOSURE: I received a free copy of this book from the publisher, Grand Central Publishing, in exchange for an honest review. Guess what? You, too, can receive a free copy of this book from the generous folks at Grand Central Publishing! See details in the “Yay for Giveaways” note below. I have a friend who is smart and funny, a little brash, and very Southern. She is a successful lawyer who loves Crossfit, cats, and college football. She also happens to be the only person I know who is OBSESSED with romance novels. At the top, someone had written a date—April, 1961. And then my eye traveled down the rest of the page, resting on what wasn’t supposed to be there. The entire title page was a patchwork of handwriting. I turned on the lamp above the bar and looked more closely. It looked like a man’s handwriting, a mixture of script and print, utilitarian but with an elongated elegance. The t’s were crossed with bold strokes and the i dotted with a short upward dash, like the flame on a candle. Love finds for us what we do not know we want. And under that was a second bit of writing in a different hand, the letters full and looped together, flowing and feminine, and I thought of summer green grass and swirling skirts. And I have found you here. You haunt me, tempt me, prickle my senses. I want to breathe you in and carry you around in my lungs, to make you essential to me. I want you to know what it is to feel my hands on you and to hear my voice say your name. Maggie sets out to discover the mystery behind the Chatterley lovers (Were the notes written in the stacks at the Dragonfly? Or years before the book found its way there? Did Henry and Catherine ever meet? Who are Henry and Catherine?). And, meanwhile, she uses the Henry and Catherine love story to drum up business for the Dragonfly and, perhaps, find her calling. This is another one of those set-in-a-bookstore books like The Storied Life of A.J. Fikry that will be described again and again as “a book for book lovers.” And, like Fikry, it has a fun, light, breezy tone and is very quick reading. I turned around the side to glare at Jason, his black Babylon 5 T-shirt billowing around his toothpick arms, his finger holding his place in a paperback the size of a hay bale with futuristic knights on the cover. He seemed colorless to me—dark wiry hair, skin like the underbelly of a catfish—and his head looked as though it had been pressed by a vise. Barely five feet tall with a slight limp, his appendages sticking out at odd angles, he had the look of someone who’d been half-trampled by a runaway horse and buggy. The book has some great moments–moments that are fun and funny and touching. But many of the characters and their relationships are not fully developed, and the plot is a little too straight-forward and predictable. That said, the book appeals to the romantic notions that a book can change your life, that you can discover a kindred spirit in the margins of a book, and that you can find your family in a bookstore. And what book-lover can resist that? But you don’t have to take my word for it! (Why, yes, that is a Reading Rainbow reference.) For a more glowing review, check out Ryan Dejonghe’s review on The Avid Reader. Who should read it: My friend, the lover of bodice-rippers (i.e., devourers of romance novels); Mom (i.e., people who enjoyed the fluffy, book-loving vibe of The Storied Life of A.J. Fikry); bookish members of the Society for Creative Anachronism, fans of cos-play, and tech nerds (i.e., book geeks who will find kindred spirits among the pages of this book). Random book-association note: The description of Maggie’s copy of Lady Chatterley’s Lover brought to mind J.J. Abrams’s and Doug Dorst’s book, S. , which The Chicago Tribune alternately describes as “a work of art” and “a literary experiment.” S. is comprised of a novel (Ship of Theseus) along with the hand-written margin scribbles and added doodads (post cards, maps, and various and sundry other items and trinkets) slipped between the novel’s pages by two students carrying on a conversation and attempting to solve a mystery in the pages of the book (that’s a picture of my copy with a sampling of the doodads sticking out). Although I can’t yet speak to the contents of the novel (as I haven’t yet finished reading it), I can safely say that the idea is pretty freaking awesome. Check it out if you haven’t already. YAY FOR GIVEAWAYS! The kind and generous folks at Grand Central Publishing have offered to provide a free copy of The Moment of Everything (approximate value $15.00) to one lucky reader! If you’d like to win this book, simply leave a comment below no later than Wednesday, September 17, 2014. It doesn’t matter what your comment is/says. It can be as simple as, “Hey, I really want to get a free copy of this book.” But it would be much more fun for all of us if your comment were a creative, funny, or desperate plea for the book. From all of the commenters who post by midnight on September 17, I will choose one lucky winner at random, using http://www.random.org. I will announce the winner in my blog post next Thursday morning, September 18. For information on IKWYSR’s official giveaway rules/policy, click here. Thanks again to Grand Central Publishing for their generosity! And good luck to all of you! 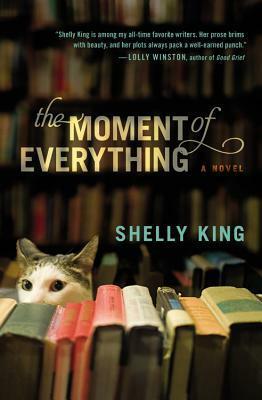 This entry was posted in Rating: 3/5 and tagged Book review, Book Reviews, Books, Giveaway, NetGalley, S., Shelly King, The Moment of Everything. Bookmark the permalink. Thanks for the link to my review…I have so much to learn from the way you handle reviews. 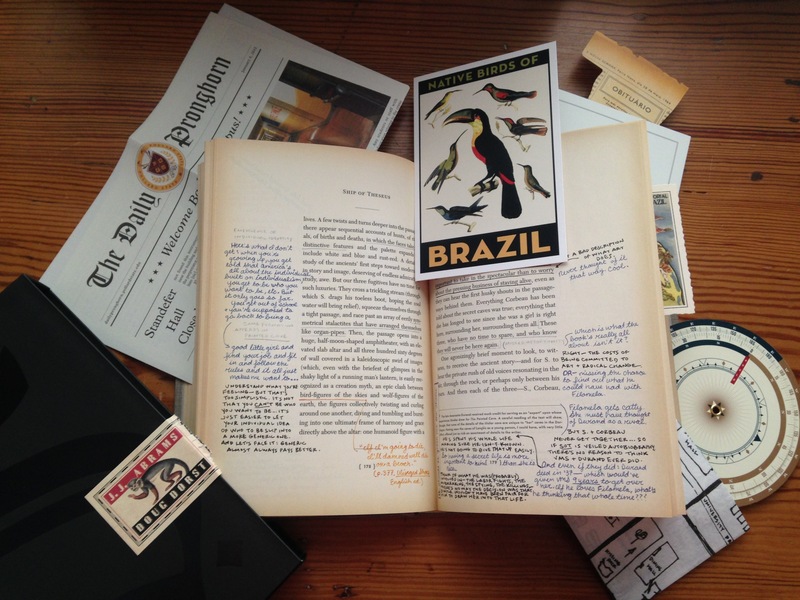 You have such a great style and ability: truly one of my favorite book blogs. Thanks so much for your kind words, Ryan! The feeling is mutual! I just came across this book on Amazon last night and it definitely appealed to me (maybe it was on my suggested list!). Hoping to win it, so I don’t have to buy it (I am NOT a cheap person-ha), because I do want to read it! Oh, yes. This one is right up your alley (i.e., plenty of funny/weird hippies and misfits wrapped up in a somewhat funny, somewhat schmaltzy finding-your-nonconformist-way, happily-ever-after story). I would never have guessed that about your friend, but it doesn’t surprise me in the least. This book doesn’t sound like my cuppa, but I’ll send her my copy if I win! Hahaha. Yes, her preferred reading material is something that not many people know about her (until now, that is). But, once you find out about it, you realize that it fits her perfectly. I have a confession: I have never read a romance novel from cover to cover. I just can’t take them seriously (I couldn’t even get through more than a few chapters of Fifty Shades of Grey!). But I remember in fifth or sixth grade one of the girls in our neighborhood stole a book from her older sister and, like you, marked all the pages with the “good stuff.” We all passed the book along and giggled and blushed and felt very scandalous. Your friend sounds awesome. I went through a phase of loving the bodice rippers and I still enjoy the occasional dabble. This one sounds like a fun, casual read and if I see it, I’ll probably read it. But it sounds like a library pick. If I win the book, I promise to share it with bodice ripper — because I’m generous like that. You are nothing if not generous. Also, come on, it has a CAT on the cover. Honestly, I’m not entirely convinced that she didn’t write it herself.